I’m ready for this journey. I’m simply ready for what is going to bring change in my life. 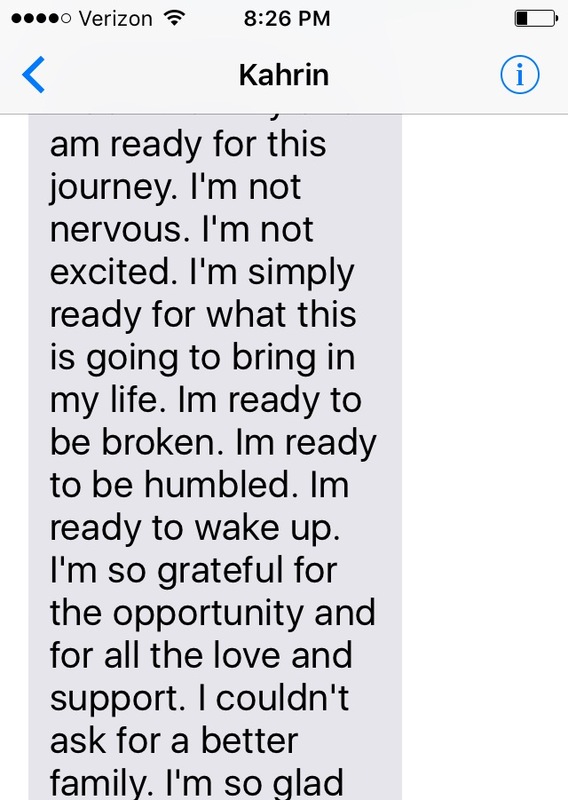 These are the words spoken by a young woman who turns 20 years old in a month; words expressing her sentiments about a mission trip to Guatemala. She and seventeen of her peers from John Carroll University in Ohio left today for an immersion into the garbage dump communities of the Central America country to serve and share the love of Jesus. John Carroll offers ten similar good Samaritan experiences each year. In Guatemala, they will be building much needed latrines and loving on pre-schoolers. With so much judgment negative talk in society about the millennial generation and their detached, narcissistic, self-absorbed mentality seems hard to believe a group of young adults would agree to give up their cell phones for eight days and, gasp, spend time with those less fortunate. Who knew such maturity had a chance of brushing against the grain of supposed selfishness? Exactly the point. Who knew is not many, even though there are enough stories to fill every news slot 24/7. The mainstream media isn’t in the business of reporting hope, inspiration, and positivity. Even though countless examples of young people showing such goodness and faith exist all around us in large supply, negativity and discord fills pocketbooks. And we all know money talks. Which is why this story of a millennial mission trip to a third-world country is worth mentioning and deserves our attention. You’ll be hard pressed to find anything fake about a news cocktail infused with such hope, compassion, and courageous flavor. I think as a generation ahead, we are all more than ready for anything which will bring positive change to our world. How refreshing to know many of our younger generation already have such a mindset. I’m ready to be broken. I’m ready to be humbled. I’m ready to wake up. Her wisdom was a heart check for me. Not sure how many of you got up this morning and whispered such a mantra into the universe, but I am sad to admit I did not. Can you imagine the implications of approaching life from such a self-emptying frame of mind? Not that we don’t have days, weeks, or seasons of doing so, but what if we were ready to be broken, humbled, and awakened every day? God bless those who do because I’ve met some of them. Proclaiming a readiness to wake up stirs me the most. If we are honest, how often do we find ourselves sleep walking through life? Rolling through our routines, set in our ways, fixated on our judgments about what’s right and wrong, but not doing anything to change ourselves or our surroundings? The groundhog days often come and go years at a time before we stop and contemplate the state of our heart, condition of our soul, or the well-being of the world around us. I’ll be the first to lay guilty claim to having this disengaged mindset on far too many occasions. But I also forgive my humanness and realign my priorities when I see them askew. Finding grace and encouragement from stories like the missionaries at John Carroll helps with the process. Waking up is a life-long journey that some of us never experience or don’t even start until we find ourselves on the receiving end of a tragedy or terminal illness. But God calls us to wake up now to what’s important and what isn’t, what encourages growth and what doesn’t, what makes a lasting impact and what won’t. Authentic human connection travels the great divide between the have and the have nots. To be able to wake up to the mess around us and say, “I see you. I can’t change everything for you, but I see you. You matter. You are loved”, allows the flow of God’s grace to run down and fill the empty spaces. And we don’t need to travel to Guatemala to show this type of compassion or share this agape love. Everyday life offers ample opportunity to wake up and share ourselves from a broken and humble spirit. Though I am only able to give voice to the sentiments of one member going on the mission to Guatemala, her message beats in the heart of every student: God grant me the serenity to accept the things I cannot change; courage to change the things I can; and the wisdom to know the difference. The grace of the serenity prayer bleeding through the veins of selfless Millennials Click & Tweet! How beautiful. This young lady and the entire group of students aren’t unique by any means. Countless other young adults partake in mission trips every year. I just happen to be one of the lucky ones with a grassroots connection to her soul and story. Why? Because she’s my daughter. The baby of our family bunch. Please trust me when I say I’m not sharing this story because I’m bragging. I share because I’m proud of EVERY young person who chooses such an experience. We should all be proud of this generation and the groups or individuals who sacrifice their time, talent, and treasure for the benefit of others. I also share because if we don’t do our part in shouting from the mainstream media rooftops about stories of goodness, our collective soul will continue to weep and ache in hopeless indifference. We need to spread worthy news, news that inspires us all to be better family, friends, and neighbors. Good News. No matter what the TV or social media tells us, kindness, mercy, and proof of God’s grace exists all around us. If we greet our days with eyes wide open we won’t miss these moments. They’ll find us with ease. Let’s pray to wake up and see, crazy Mommas! And then let’s tell the world and spread the Good News. Please share your stories of our beautiful Millennials stewarding their gifts below this post on Facebook. I’m so grateful for this opportunity and for all the love and support. For all those supporting her through prayer and donation, this message is for you–we second her expression of thanksgiving. And Godspeed to the entire group over the next eight days…. No matter how much I thought I was ready to be humbled, being in a third world country changed my life forever. 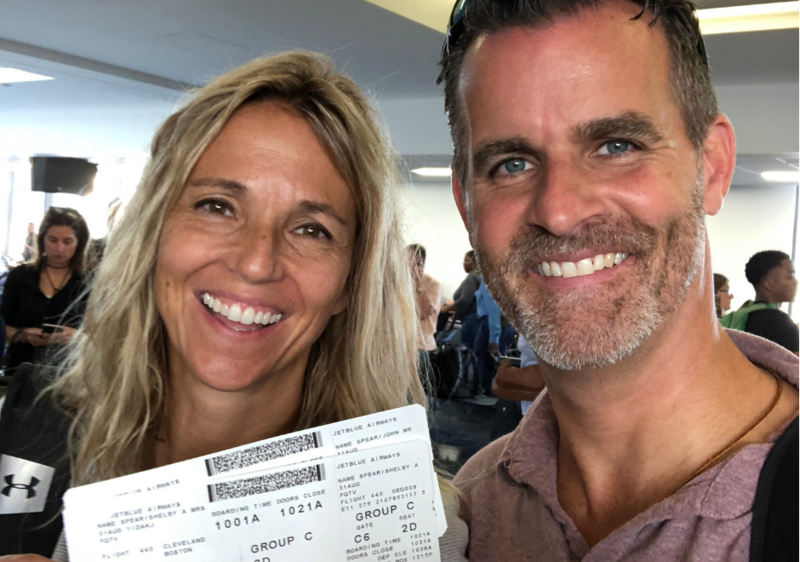 Godspeed Kahrin…so proud of your profound words and insight and your courage to say “yes” to bringing the love of Christ to others in Guatemala! Praying for your whole team! I saw your pictures on FB, Sue. I can only imagine… God bless! I was one of the two staff to accompany Kahrin on her Immersion trip to Guatemala. For me, this was my second time in this beautiful Country. I was also there in 2015. Between both my trips, I have taken over 30 JCU students. I was so excited to share this experience with all these students, however, it felt like I brought one of these students home. Kahrin embraced the culture and people of Guatemala more than anyone I know. It was as though she “came home.” Watching her connect with the people of Chinautla and show her unconditional love was inspiring for me. Watching her on this trip and all it meant to her, actually brought me closer to God. She is an amazing young woman and I’m grateful to have spent those 10 days with her. She taught me so much about love…love for each other, love for Guatemala…and love for humanity. I’m forever changed (for the better) having been able to experience this Immersion with her. And to her mom….she spoke often of you and how she admires, looks up to and is proud of and loves you! I hope to meet you one day! Kahrin is a true gift from the Lord. Thank you! Your words. Thank you… She had an incredible trip and there is no doubt God called her “home” in many ways as her heart was split wide open. Sounds like a beautiful experience and we are grateful for YOU and everyone else for making such a trip possible. Kahrin is a gift we treasure wholeheartedly, and I am so thankful you two could spend time together. She spoke very highly of you as well…you impacted her in big ways. God bless you!